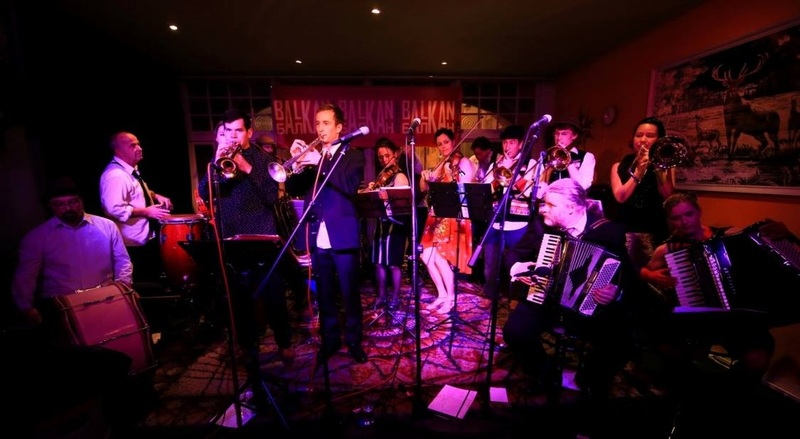 Winners of the national WOMAD New Zealand Band competition 2014 were our local Gypsy frolickers, the Balkanistas. And yep there are 26 of them but we could only fit 12 into the studio and it was a squeeze. Led by the Statesman Of the Welly music Scene Andreas Lepper, we got a sample of what we’ll be hearing at Womad and a bit about why Andreas has dedicated his life to percussion. This entry was posted in Arts & Culture and tagged Festivals, Music by lauriestarfish. Bookmark the permalink.